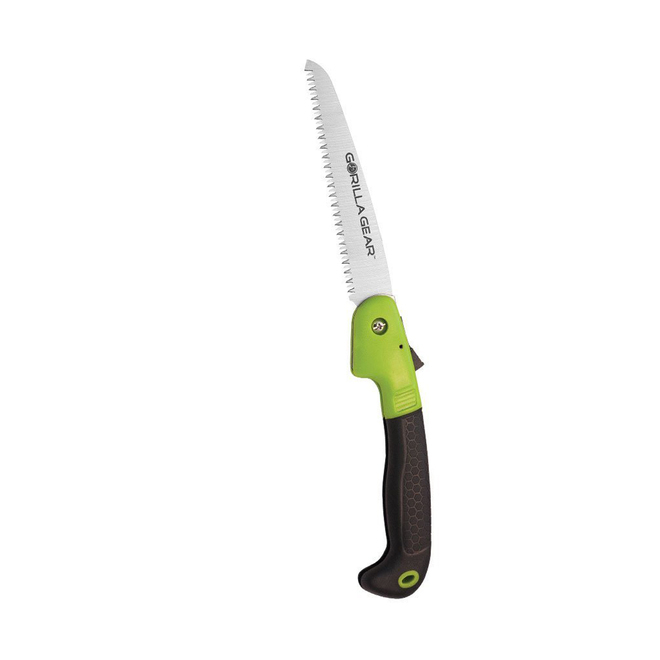 Home :: Knifes, Saws, & Sharpeners :: Gorilla Gear 16" Compact Trim Saw SALE!! Gorilla Gear 16" Compact Trim Saw SALE!! •Ideal for cutting all types of wood up to 7” in diameter. •Triple ground hardened teeth create a hard edge and stay sharp longer and cuts faster. •Over molded rubber handle for a sure grip. Compact trim saw that is ideal for cutting all types of wood up to 7” in diameter. Features a premium high carbon steel blade, triple ground hardened teeth and an over molded rubber handle for a sure grip. Blade length: 7.25”, Overall Length: 16”.